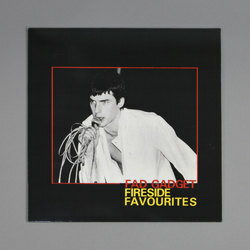 Fad Gadget - Fireside Favourites. Vinyl LP. Bleep. 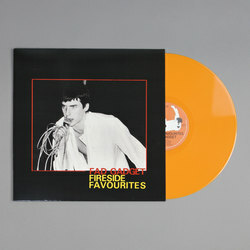 Following from the eternally essential trilogy of Throbbing Gristle reissues a few weeks back, Mute dips back into its early industrial focused realms and rich archive, filing through too many to mention late 70s/early 80s classics to present this reissue of Fad Gadget aka Frank Tovey's debut album Fireside Favourites. 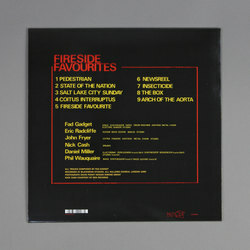 Landing on fiery orange vinyl, Fireside Favourites is a rather ramshackle or DIY (depending if you are into it or not) take on left-field pop has never sounded quite so good. Recorded using a drum machine and synthesiser, the albums minimal set up set Tovey up as one of the earliest truly greatest minds within the Mute cannon. With his music beloved by everyone from Regis to Helena Hauff, we'd urge you to get involved with this one if you are not familiar, an incredibly important of a lesser-known album from the original post-punk explosion.